Doctors find out that both patients need a blood transfusion, yet to make things more complicated both patients require a certain blood type. They need blood type P and there is only three available donors in Singapore. Now both police officers Tai (Alan Tam) and Stone (Leung Kar-Yan) have only 12 hours to get the donors, but the suicidal Japanese ‘Red Army’ are one step a head of them. The group have killed off two of the donors and which leave them with only one person left, Fatty (Eric Tsang). Fatty is a small time worker who earns a living by selling items which were ‘supposedly’ owned by celebrities, such as Leslie Cheung, Chow Yun-Fat & Cherie Cheung. Fatty is soon confronted by the Police and Bee (Lau). Bee wants Fatty to donate the blood so it can save his girlfriend. The Police want Fatty to donate his blood the Daka First. Yet the Red Army soon arrive and its time for Bee and Tai to protect Fatty, before time runs out. 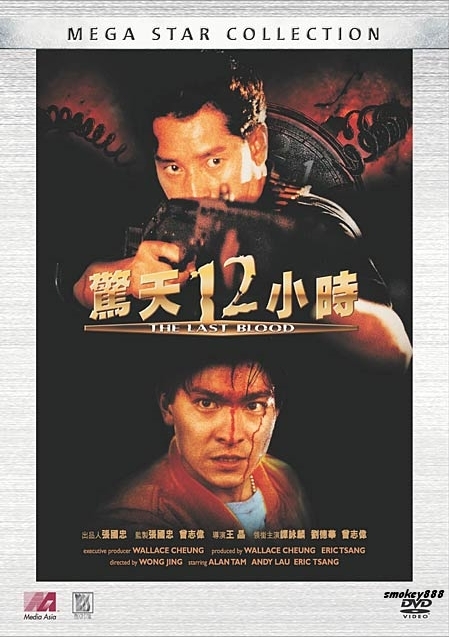 Last Blood was originally released in the UK entitled “Hard Boiled 2”, yet this film was originally filmed two years before John Woo’s Hard Boiled. The film has some moderately decent gun play action along with unexpected twists. The film has a dark feeling around it, the acting was decent, yet the comedy seems rather out of place. There was scenes with Nat Chan (who played a doctor) battling a Japanese Women and Andy Lau impersonating Bruce Lee!? Final thoughts, a moderately decent Gun Play Flick with some amusing comedy and decent acting from the main cast. Worth a watch!